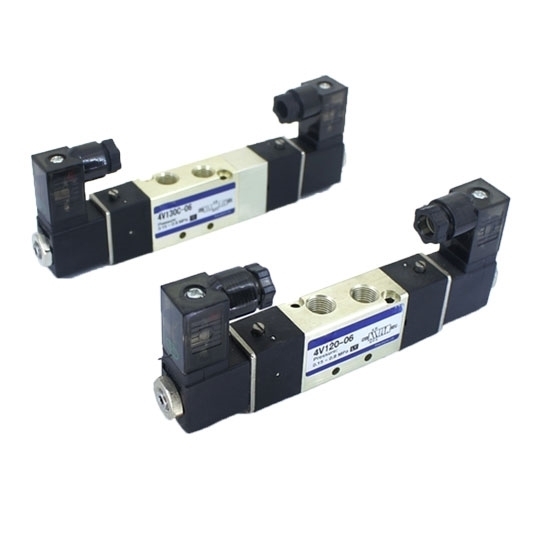 Pneumatic solenoid valve for air, two or three positions five ways - 5/2(3) way, double solenoid, is available for voltages DC 12 volt, DC 24 volt, AC 110 volt and AC 220 volt, pilot-operated mode, port size M5×0.8, Rc 1/8", 1/4", 3/8" for your options, fast and safe switching on/off. High reliability and low price. 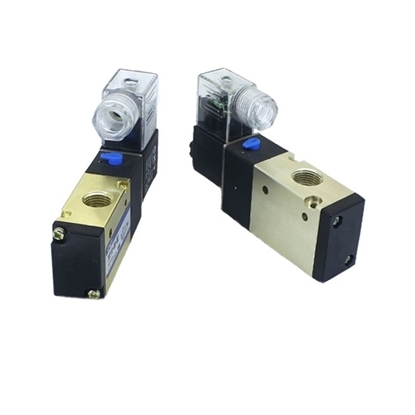 5 way 2 position (5/2-way) pneumatic single solenoid valve, applied for the air, internal pilot operated, input voltage 12V DC, 24V DC, 110V AC and 220V AC available, port size M5×0.8, Rc 1/8", 1/4", 3/8", 1/2" for your selection, high reliability and long life time. 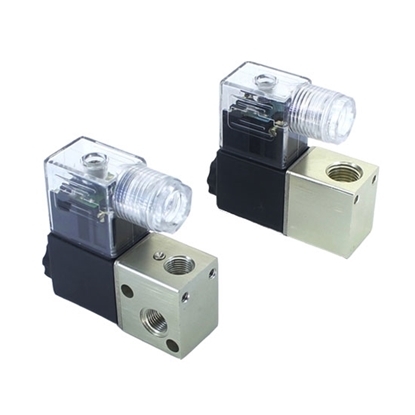 2 way 2 position (2/2 way) pneumatic solenoid valve, internally piloted type, control on-off of air, optional port size Rc 1/8 or 1/4 inch, and voltage available with 12V DC, 24V DC, 110V AC and 220V AC. High quality and low price. 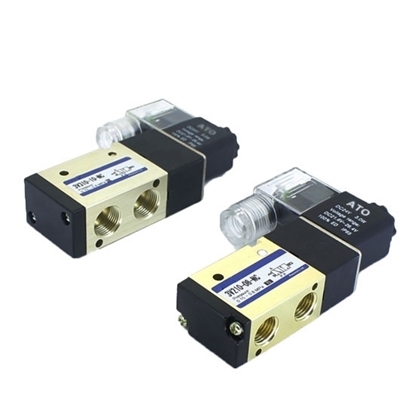 Pneumatic solenoid valve for the air, 3/2 - 3 way 2 position, internally piloted, working voltage 12V DC, 24V DC, 110V AC and 220V AC available, optional port size M5*0.8 or Rc 1/8". Favorable price and high reliability. 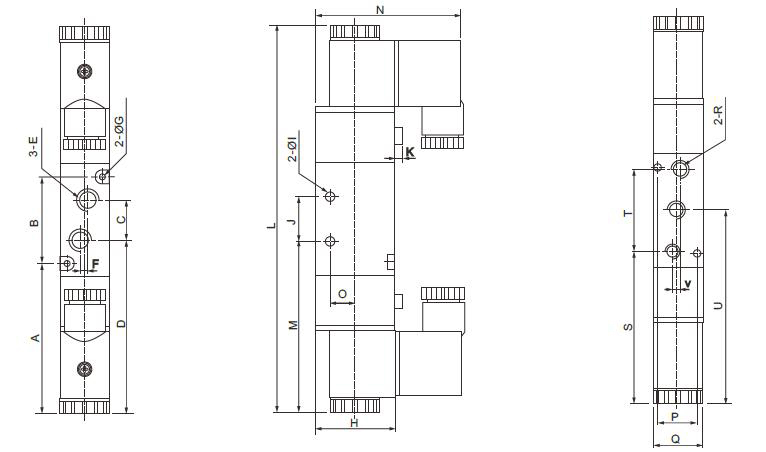 3/2 way - 3 port 2 position Normally Closed (N/C) pneumatic solenoid valve is suitable for the air. It is internally piloted type, with port size M5×0.8, Rc 1/8", 1/4", 3/8" and voltage DC 12 volt, DC 24 volt, AC110 volt, AC 220 volt for choices. High quality, long life and low price. 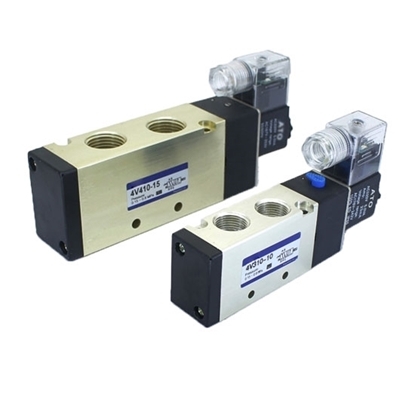 Three-way Two-position (3/2-way) pneumatic solenoid valve, Normally Open (N/O), single coil, can handle the flow of air in safe and fast. The supply voltage is selectable among DC 12 volt, DC 24 volt, AC110 volt and AC 220 volt, and the port size is also avaliable of M5×0.8, Rc 1/8", 1/4", 3/8" for your choice. 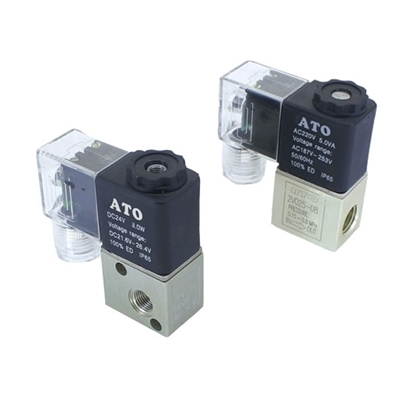 5/2(3) way double solenoid pneumatic valve is used to control the flow of the compressed air with 12V DC, 24V DC, 110V AC and 220V AC, and widely applied in the industrial fields like chemical, petroleum, pharmaceutical, automotive, light industry, food, mineral processing, electroplating, metallurgy, textiles etc. Port Size M5×0.8 Rc 1/8" Rc 1/8" Rc 1/4" Rc 1/4" Rc 3/8"
Tips: How does a direct-acting solenoid valve work? The following is brief introduction of direct-acting solenoid valve. 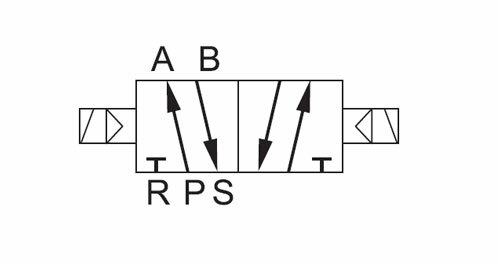 When the power is on, the solenoid coil generates the electromagnetic force to lift the closure member from the valve seat to open the valve. When the power is cut off, the electromagnetic force disappears and the spring presses the closure member on the valve seat to close the valve. It can work normally in the vacuum, negative pressure and zero pressure. However, the diameter normally doesn’t exceed 25mm.